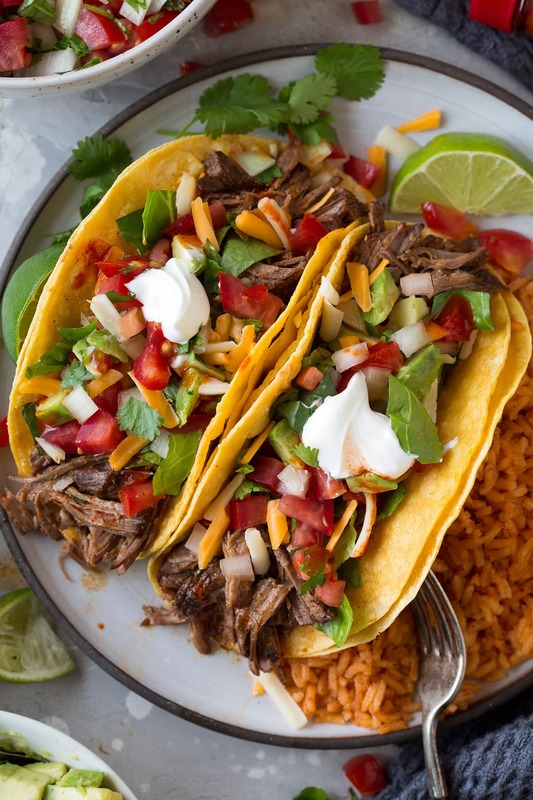 Slow Cooker Shredded Beef Tacos have been on of my go-to regular recipes for 5+ years! 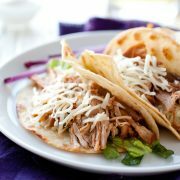 These easy, restaurant quality Mexican tacos are perfectly flavorful and oh so tender. Load them up or serve them street taco style with just onion, cilantro and lime. I actually shared this recipe back in January of 2012 (and I’ve made them probably 100 times since) but I wanted to update the photos and also the method a little. Back then I just added the beef into the slow cooker without browning it first, which yes you can do, but those 6 minutes of browning are a game changer I tell you. 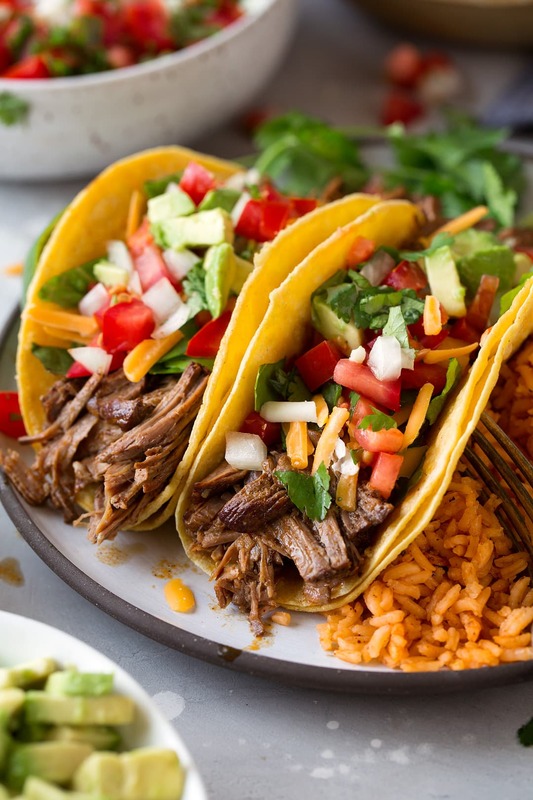 It makes such a difference that it’s the only way I’ll make these shredded beef tacos anymore. Heat olive oil in a large pot over medium-high heat. Dab both sides of beef dry with paper towels. Season beef with salt and pepper (about 1 tsp salt, 3/4 tsp pepper) and sear in pot until browned on both sides, about 3 minutes each side. 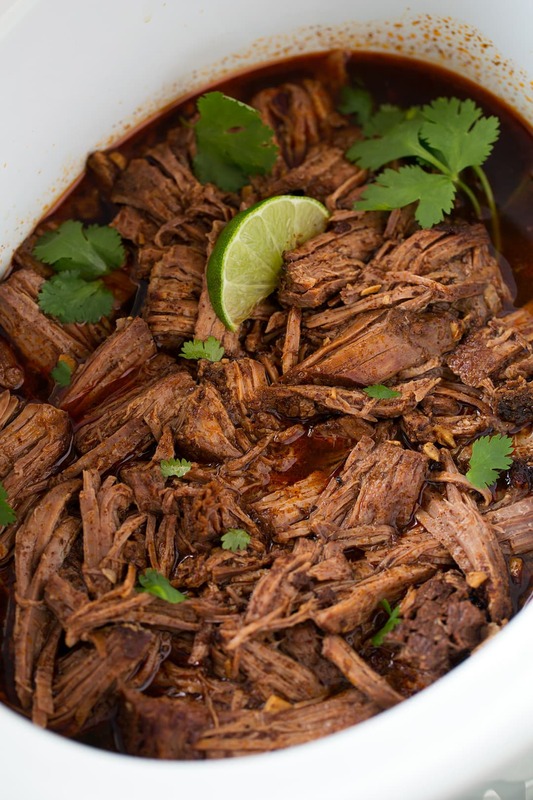 Transfer beef to a 6 or 7 quart slow cooker. Pour beef broth over roast. Sprinkle chili powder, cumin, onion and garlic powder evenly over roast. Cover slow cooker and cook on low heat 8 hours (high heat cooking is not recommend here). Remove roast from slow cooker, shred beef (remove fat) and return shredded beef to slow cooker (season with a little more salt if needed). Add in lime juice, cover with lid and cook on low an additional 5 – 10 minutes while preparing toppings and tortillas. Remove beef from slow cooker with tongs to remove juices when plating or drain in a colander. Can I use Fresh Onion and Garlic? You can also go use fresh onion and garlic here if preferred. To do so after browning roast, saute 1 small onion halved along with 3 or 4 cloves of garlic (in place of the garlic powder) in that same oil in the pot after you’ve browned the roast. Then pour the broth into the pot with the onion and garlic and scrape up those browned bits at the bottom, and finally pour that mixture over the beef in the slow cooker. This recipe yields perfectly tender, wonderfully seasoned and flavorful beef. 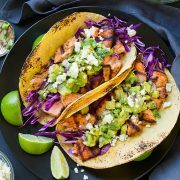 You’re whole family will love these tacos, trust me! Any left over beef from this recipe can also be used for tacos, enchiladas, taquitos, nachos or burritos. I hope it becomes a favorite for your family too! 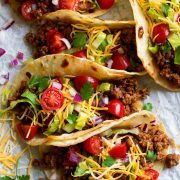 These tacos have been a family favorite and a reader favorite for 5+ years! They're so easy to make and so flavorful! They taste just like the tacos you order at Mexican restaurants. The shredded beef makes great leftover too. Add in lime juice, cover with lid and cook on low an additional 5 - 10 minutes while preparing toppings and tortillas. Tortillas and toppings not included in nutritional value.